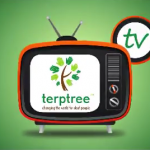 Well back in 2014 for Deaf Awareness Week we collaborated with Matt to reinforce the importance of using trained and registered Sign Language Interpreters and Communication Professionals, something we are very passionate about here at terptree! Deaf people deserve the same access to information as hearing people and we are seeking to empower deaf people through highly skilled and qualified Communication Professionals. This will see deaf people on par with their hearing peers and excel in their profession and achieve what they deserve and are capable of! We need to make sure the conversation is about the individual’s skills, talents, accomplishments etc. Being deaf should not be a factor! ? Nurture ? Develop ? And when it’s time for them to leave the nest, Set Them Free ? to make meaningful strides within the Deaf community!